For almost fifty years, the Club has insured a large number of tugs operating in Latin America, performing a variety of towage tasks including harbour towage (assisting in the berthing and un-berthing of other vessels), coastal towage, and towage of barge convoys through inland waterways. 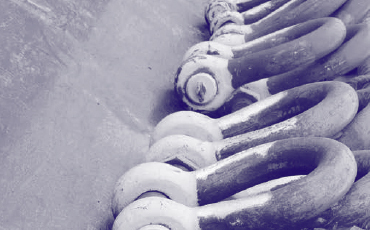 Members operating tugs in Latin America do so under a variety of contract forms and often in the absence of any formal contract, meaning there is no contractual allocation of risk between tug and tow. Loss of or damage to the towed vessel or object or any cargo upon it. Wreck removal of the towed vessel or object or any cargo upon it. Death of or injury to the crew or passengers on board the towed vessel. Claims brought by third parties for damage or injury caused by contact with the towed vessel or object. These terms are widely accepted because they achieve a fair allocation of risk. Tug owners often provide customary towage services to much larger vessels that are worth many times the value of the tug, can be laden with millions of dollars worth of cargo and have many crew or passengers on board. If both parties were to bear the risk of damage or injury to the other, then the tug owner would face a disproportionate exposure. It is for this reason that industry standard towage terms incorporate ‘knock for knock’ allocations of risk, meaning that each party bears their own losses in respect of both property and people. UK Standard Towage Conditions go further to indemnify the tug operator against all risks except where personal failure of the tug owner can be proven. 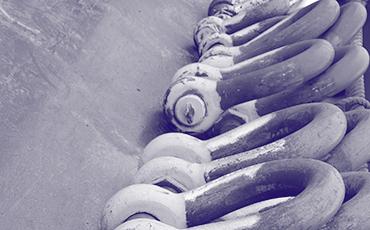 Given the worldwide prevalence of such arrangements, companies operating ocean going vessels expect to contract on such terms when using tugs in berthing manoeuvres, and their tow insurance arrangements are traditionally designed to respond to such risks. During the past ten years the Club has experienced a major deterioration in the loss record for tugs that perform third party towage operating in the Latin America region. It is clear that premium levels are inadequate for the level of risk to which Club cover is expected to respond. The countries most affected are Argentina, Brazil, Chile, Peru, Paraguay and Uruguay. In most of these jurisdictions the downside risk is compounded by the fact that Limitation of Liability is not available. 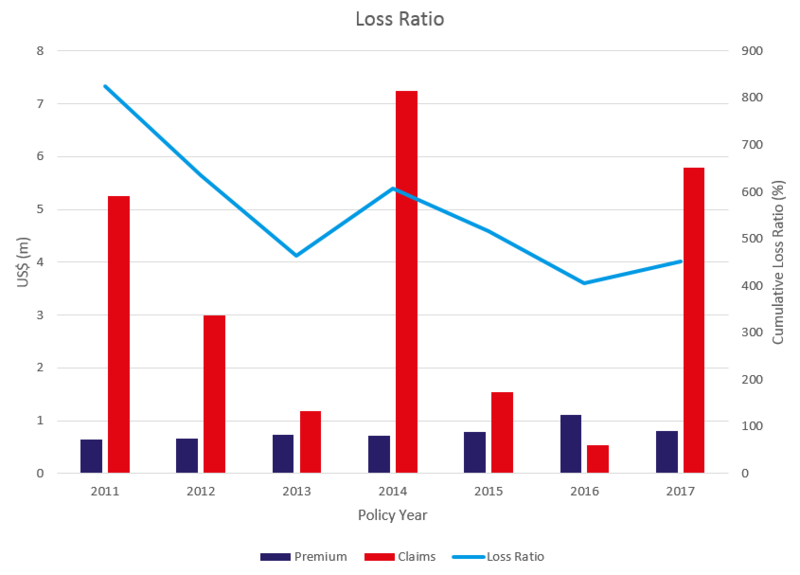 In addition to low and medium value claims the Club has experienced a number of high value claims, where the overall cost is between US $500,000 and US $10,000,000. This is particularly the case for vessels performing berthing and unberthing operations for which the overall record is show in the chart below. Many of these large value claims involve damage to shore side infrastructure caused by contact with the towed vessel. The Club does not experience the same extent of losses in most other parts of the world as favourable towage conditions are applied in jurisdictions that support them. This results in a significantly more favourable outcome for the tug operator. It is apparent that the Club has a disproportionately high risk in Latin America which cannot be addressed purely through higher premiums and as such this risk cannot be shared on a mutual basis. The Club recognises that it would be difficult for Members to pay substantial increases in premiums. As a Club, we always seek to find solutions to help Members maintain stability of premiums and reduce their risks of exposure to larger claims. With this in mind the Club, in conjunction with our network of correspondents and lawyers, have investigated how tug operators could better protect themselves. The conclusion reached is that Members interests can be better protected through undertaking third party towage under contract terms that incorporate English Law and Jurisdiction, in line with industry practice elsewhere in the world, which have over many years provided much certainty in the event of an incident and are acceptable to all International Group P&I Clubs. When offering renewal terms for the 2018/19 policy year to operators of tugs, operating in Latin America, all quotations will contain a clause specifying that towage claims relating to damage to shore-side infrastructure caused by the towed vessel or object will only be covered where the Member has contracted on either UK Standard Towage Conditions or BIMCO Towcon/Towhire and incorporating English law and jurisdiction. These contract forms and this jurisdiction will provide protections for the tug owner against third party claims for damage caused by the towed vessel or object. In addition to the towage cover provided under the Rules many of the Club’s Members purchase ‘Extended Towage’ cover. This cover is primarily intended to respond to claims brought against a Member as the operator of the tug for loss of, or damage to, or wreck removal of the towed object or vessel and any cargo thereon, in cases where our Member has not contracted on one of the approved contract forms set out in the Rules (Rule 2 section 10) that achieve a fair allocation of risk between the tug and the tow. The objective of the above clause wording is to assist Members in improving in the levels of risks they face, and to address the imbalance between claims and premiums for the region. Therefore, the Club does not intend to cover the risks taken on by Members operating without using the contract forms noted in the clause (and incorporating English law and jurisdiction) by offering an extension to standard P&I cover. The Club will not be offering Extended Towage cover to respond to the claims Members may face if they chose to undertake third party towage without incorporating the contract forms (and law and jurisdiction requirement) set out in the clause wording. However, the Club will continue to provide Extended Towage cover on a case by case basis for individual short term risks (such as specific towage manoeuvres) where there is a liability exposure for loss of or damage to or wreck removal of the towed object or cargo thereon. We believe this approach should reduce the risks Members face and help the Club to continue supporting our valued Members in the region in a way that fits our mutual ethos for all Members around the world. If any further clarification is required then please contact the Managers of the Club. To demonstrate how this change will benefit Members, we have identified and addressed a few potential queries that may arise from this transition. Question: We tow without contracts – can we still buy Extended Towage cover to pick up liabilities for loss of / damage to / wreck removal of the towed object only? Answer: Yes – we can provide extended towers cover to respond to these liabilities, provided the operation is not limited to the berthing and un-berthing of vessels. Provide details of the operation and we can quote accordingly. Question: I currently have extended towers cover on my certificate but it’s not in my quotes for the coming year – why not? Answer: We are guiding Members toward using industry standard contracts under which there is no exposure outside of normal P&I cover according to the Rules. If you contract on those approved terms mentioned in the new clause (United Kingdom Standard Towage Conditions or BIMCO Towcon / Towhire with English law and jurisdiction) then you won’t have any exposures that would fall to the extended towers cover that you currently have, hence our decision to remove it from the quote and from the related premium, resulting in a saving. Question: We intend to start using the towage terms the Club is recommending but our tugs are working under a contract to provide towage services and the contract doesn’t come up for renewal until later this year. Is there anything the Club can do to help me in the period until the contract comes up for renewal? Answer: Please get in touch with a Club representative and let us know your circumstances including what terms you currently contract on and when the contract is up for renewal and we’ll see if we can find a way to cover your exposures for the period until the contract is due to renew, at which time the approved conditions mentioned in this note will be incorporated in your terms. Question: How can we incorporate the approved towage conditions? Do we need a full signed physical contract for each towage manoeuvre? Answer: No you do not need a full paper contract for each operation but you should incorporate the approved towage conditions in a format that can be evidenced in the event of a claim. For practicality’s sake, we suggest that for short individual towage operations an email offering towage services that makes reference to those services being provided subject to acceptance of the chosen approved terms (eg. United Kingdom Standard Towage Conditions incorporating English law and jurisdiction). As long as you receive an email from your client accepting those conditions and accepting an amount being charged for the towage services this should suffice. Question: We use our own tugs to tow our own barges only, we don’t do any third party towage at all, how are we affected by the clause? Answer: You’re not affected by the clause at all. If you decide to undertake towage of a third party vessel or object at any point in the future then just let us know so we can update your cover, and we will advise you at that point to ensure you incorporate the approved conditions to make sure your P&I cover isn’t affected. Question: We undertake offshore towage and currently purchase an offshore package extension to P&I cover that includes extended towage cover. We occasionally contract on terms whereby we have liabilities for damage to towed vessels. Will this extended towers cover remain in place? Answer: We have removed extended towers cover from all renewal terms as the intention is for all Members to start using the approved towage forms for all towage of third party owned vessels or objects in order to best protect themselves. If you think you may have an exposure for loss of, or damage to the towed vessel or object in this scenario then just let us know what the exposure is and we can look at ways to cover this risk.